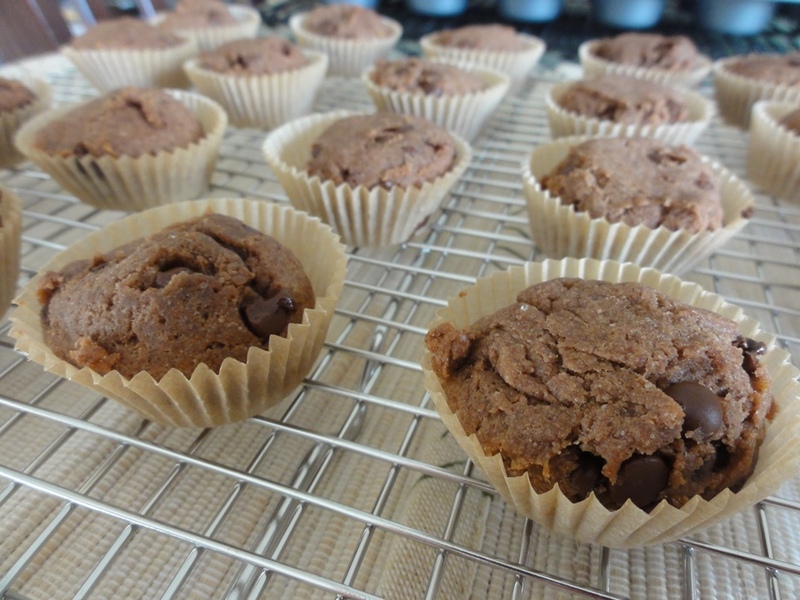 The inspiration for this recipe came from Amy-Lyn at Bushel & A Peck and her recipe for Banana Chocolate Chip Mini-Muffins. I had a vague idea of doing something with bananas and chocolate when I went searching for recipes and hers came up with the added bonus of already being specified as gluten-free. I noticed that coconut oil was mentioned as an alternative to butter, and it wasn’t a big step to swap out milk for almond milk, resulting in a recipe that’s not only gluten-free, but vegan. Since I keep on the lookout for vegan recipes I figured I’d give a vegan conversion of Amy-Lyn’s recipe a try. First to take note of: what came out of my oven doesn’t really look much like the original recipe because my mini muffins didn’t rise much. The consistency is also fairly chewy and dense, thus leading to my deciding to change the name of the recipe to “mini brownies”. Second to take note of: they still taste great! These were very popular with the folks I shared them with so I’m considering my departure from the original recipe a success. If you’re looking for a chewy, banana chocolate brownie that’s bite-size, these fit the bill wonderfully. 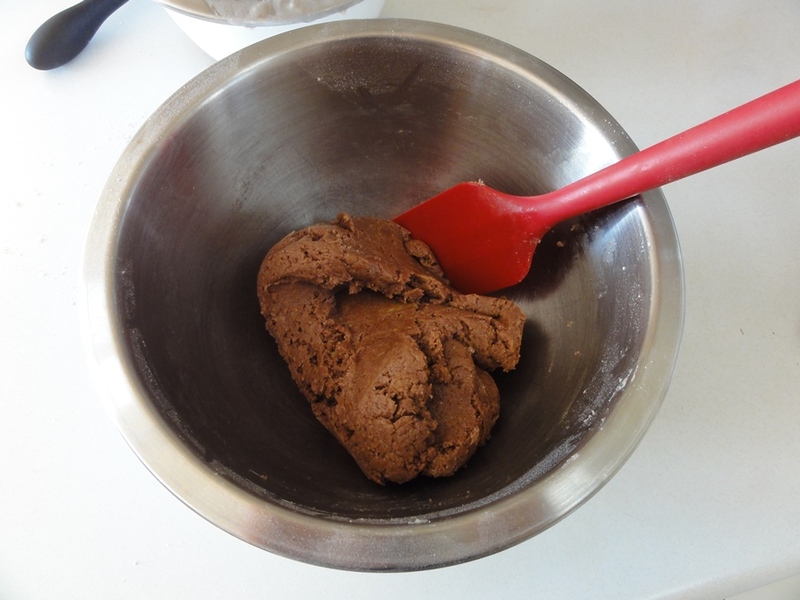 To boost the chocolate flavor I added a tablespoon of cocoa powder, which I think suits this well as a brownie recipe. One final, very important note: this recipe requires no kitchen appliances other than your oven and either a stove or microwave for melting the coconut oil. 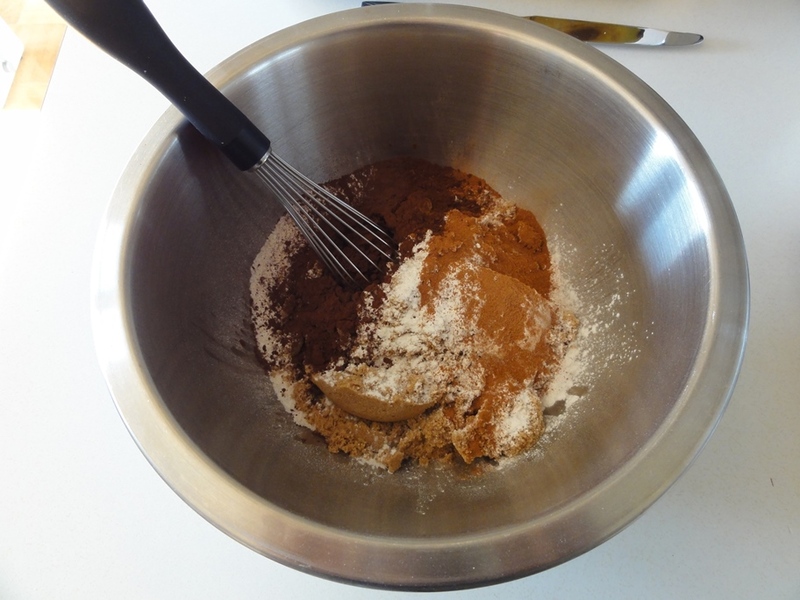 No stand- or hand-mixer…no, really! 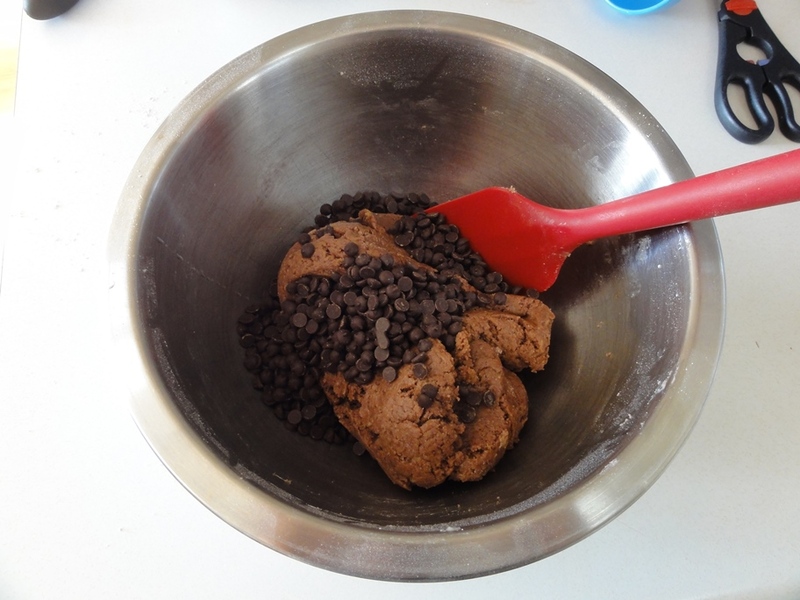 For preparing the dough all you need is a fork, a whisk, a spatula, and a couple of bowls, and your arms! Preheat oven to 400°F and grease or line a mini-muffin pan. 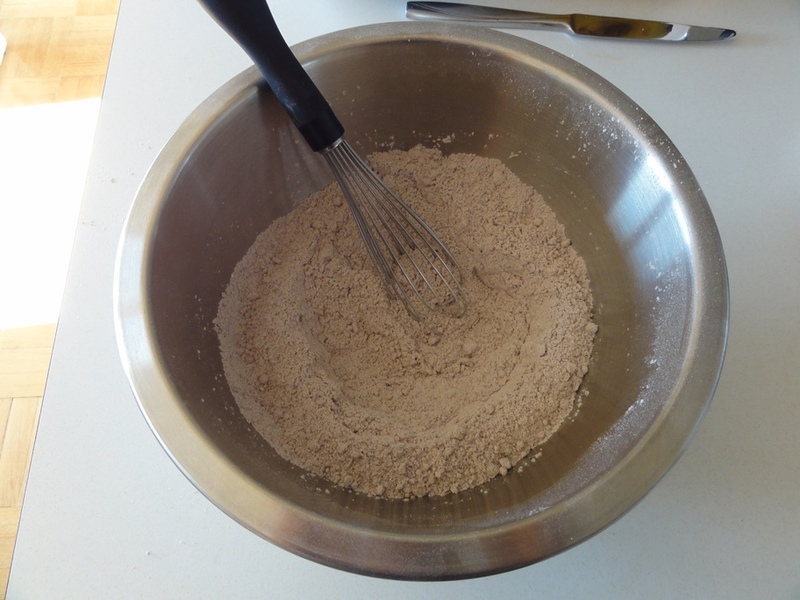 In a large bowl whisk together the flour, sugar, salt, baking powder, cinnamon, and cocoa powder until well-combined. 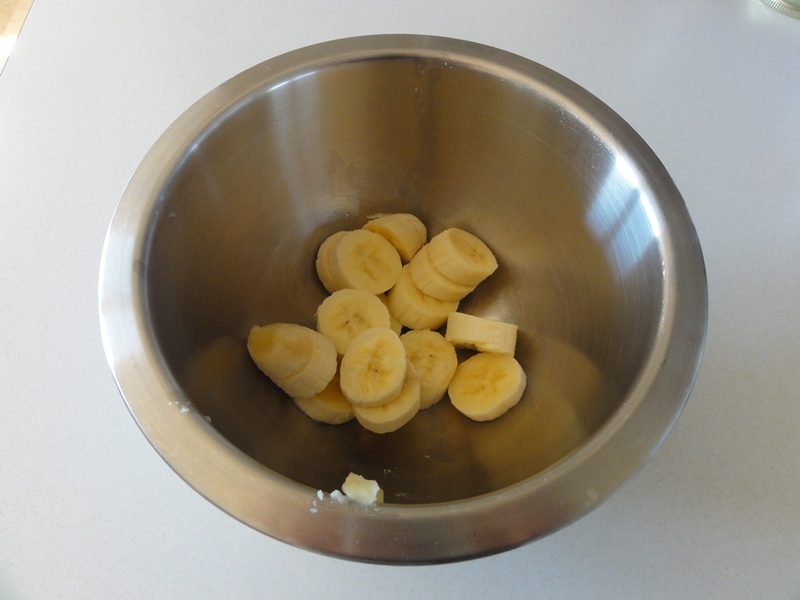 In a small bowl mash the banana and then mix in the milk and coconut oil until well-combined. 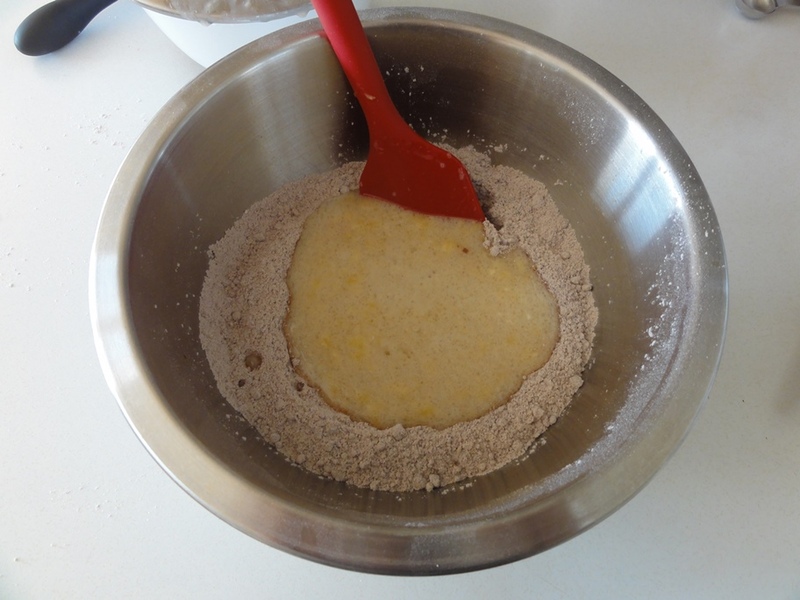 Fold the wet ingredients into the dry and mix until just-combined. 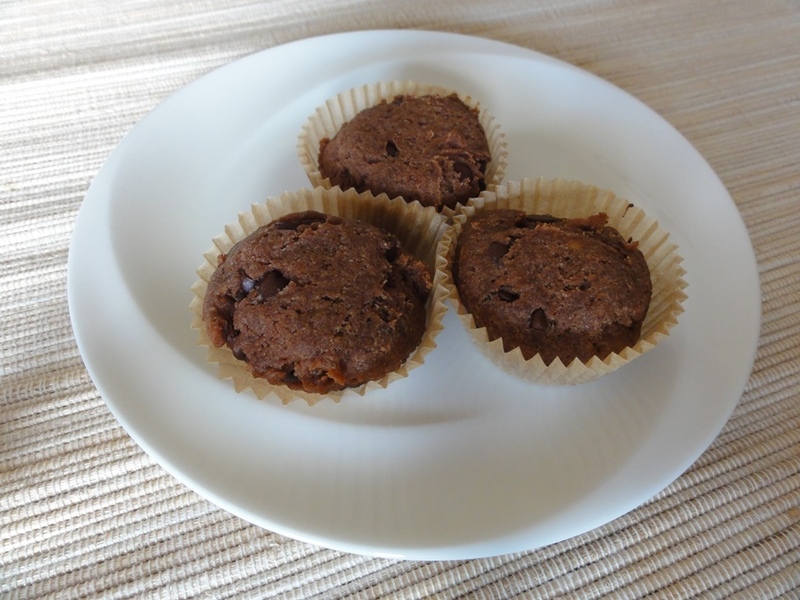 Fill each mini-muffin cup with 1 tablespoon of dough. Coconut oil is solid at room temperature so if you have melted the coconut oil and then mix it in with a room temperature banana and cold almond milk, it’s likely that some of the coconut oil will revert back to the solid phase. To keep that from happening, measure out the almond milk first (“step zero”) and set it aside while you get everything else together. 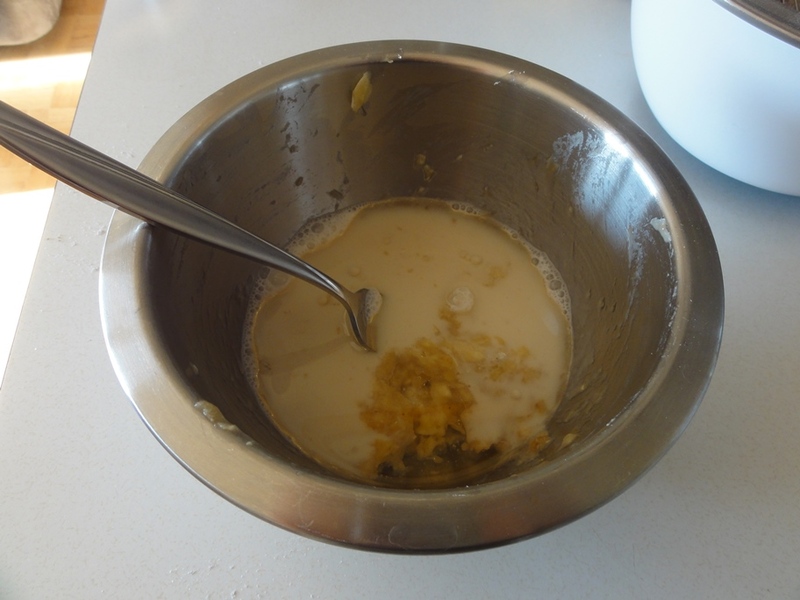 When measuring out brown sugar the rule of thumb is to pack it firmly into the measuring cup. In this recipe that’s a little problematic because it makes it harder to whisk into the flour so I packed a 1/2 cup as thoroughly as I could and weighed the volume of sugar, which came to 112 grams. So if you have a kitchen scale (and if you don’t, you should get one!) 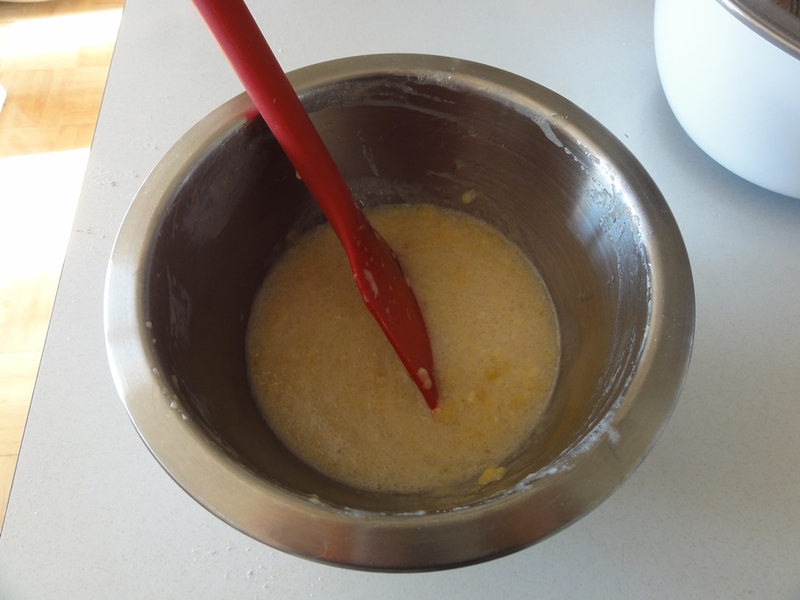 you can weigh out the sugar and then it will be loose and easier to whisk. Despite all of my conversation below in the Step-by-Step directions about the nature of the bananas that I used, I expect a firmer banana resulted in a firmer texture of the end result. It will take some playing around on my part with this recipe to confirm (and given how great they taste I’m certainly planning on doing this), but if you want a chewy brownie texture a firmer banana may be the right thing to use. If you’re not concerned about keeping these vegan, use 1/3 cup of butter, 1/3 cup of milk, and chocolate chips of your choice. If you’re not concerned about keeping these gluten-free, use 1 1/2 cup of wheat flour. There’s a variety of colors in the dry ingredients so you’ll know it’s all whisked together well when the color and texture is consistent and there are no streaks of other colors. The bananas that I used were not over-ripe and to get the same result as the original recipe they probably should have been. They were instead at the prime of ripeness so my attempt at mashing here did not produce a smooth consistency. In this recipe the bananas are not only providing great flavor they’re also replacing eggs for binding the dough together so you want them to easily spread throughout the batter – the mushier, the better. Make sure for your bananas that the skins are browning, they’re mushy when you poke them, and they’re well beyond what you’d pack for lunch because of the fear that at lunch time you would find mashed banana coating the inside of your lunch bag. 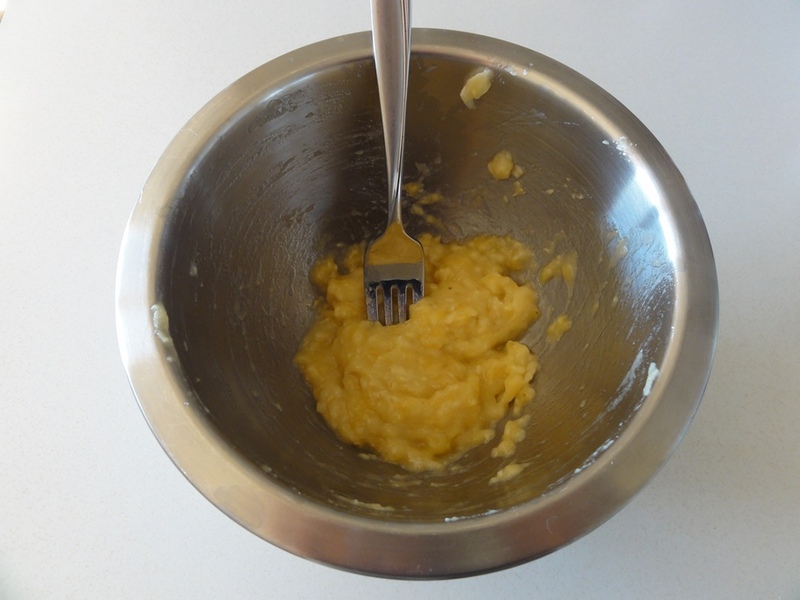 The wet ingredients should come to a consistent, smooth texture when beaten into submission with a spatula. When combining the wet ingredients into the dry, you want to stop mixing just at the point when there’s no powder left in the bowl. At this point you’re good to go to add in the chocolate chips! 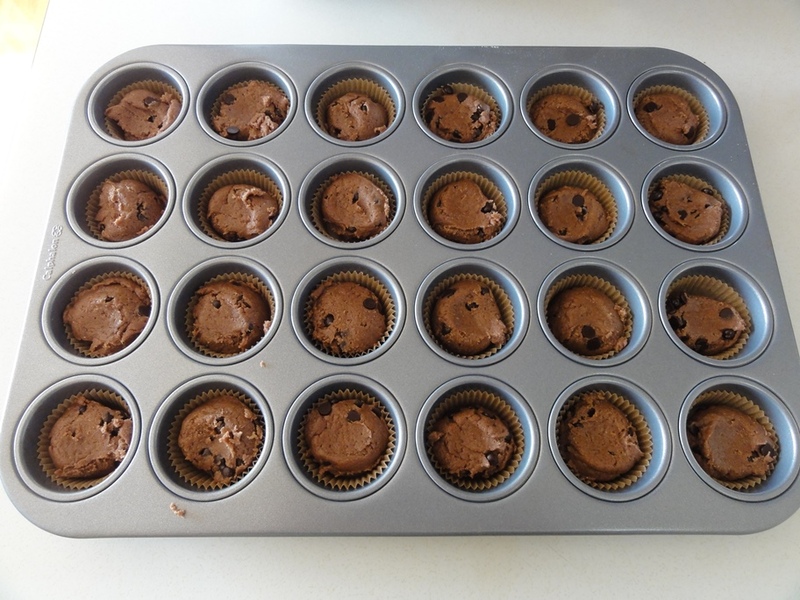 A level or slightly-rounded tablespoon’s worth of dough nicely filled each mini-muffin cup to produce mini-brownies. If these actually had risen like the original recipe, that would also have been plenty of dough. 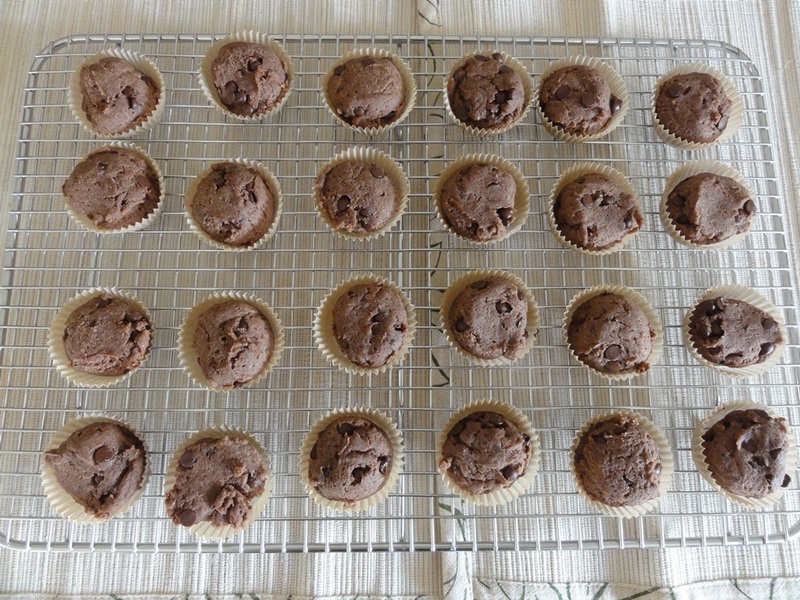 Out of the oven the tops will be dry and firm and the mini-brownies will feel a little spongy on the outside. Once they’ve cooled for a few minutes, but not before the chocolate chips have solidified, these chewy, gooey, banana chocolate chip mini-brownies are ready for eating!